Lonavala, a hill station located 64 KM from Pune and 96 KM from Mumbai, is the perfect weekend getaway for people residing both in Pune and Mumbai. A drive on the Mumbai Pune expressway to reach Lonavala, is a pure rejuvenating one which also offers some great views of the Western Ghats. The same journey becomes ten times more beautiful during the monsoons, when it’s lush green everywhere. The best part is that, Lonavala is well connected via road and via rail line as well, with trains plying from Mumbai and Pune on a daily basis. One can opt to travel in a Shivneri Bus (MSRTC Super Deluxe A/C buses) or any other private run bus as well and spend a Weekend in Lonavala. One can enjoy a plethora of activities at the adventure theme parks at Della Adventures and Adlabs Imagica, OR trek to the top of forts like the Lohagad fort and Rajmachi Fort to enjoy a panaromic view of the Western Ghats, OR enjoy the beauty of Bhushi Dam and Pavana Dam. In a nutshell, there’s a lot to do for all kind of age groups and for all kind of travelers. 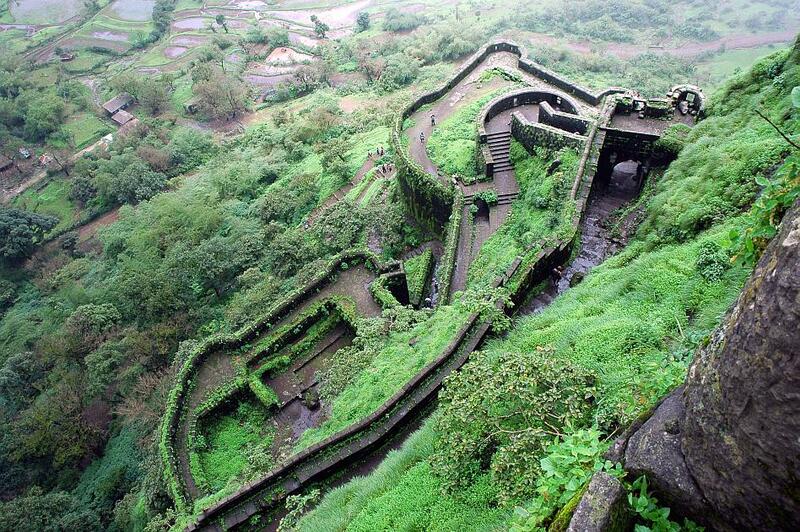 Lohagad (Marathi: लोहगड, iron fort) is one of the many hill forts of Maharashtra state in India. Situated close to the hill station Lonavala and 52 km (32 mi) northwest of Pune, Lohagad rises to an elevation of 1,033 m (3,389 ft) above sea level. The fort is connected to the neighboring Visapur fort by a small range. The fort was under the Maratha Empire for the majority of time, with a short period of 5 years under the Mughal Empire. Historically, Rajmachi fort was a strategic fort to control Borghat(ghat between Khopoli and Khandala on Mumbai-Pune route) which was a historical trade route. 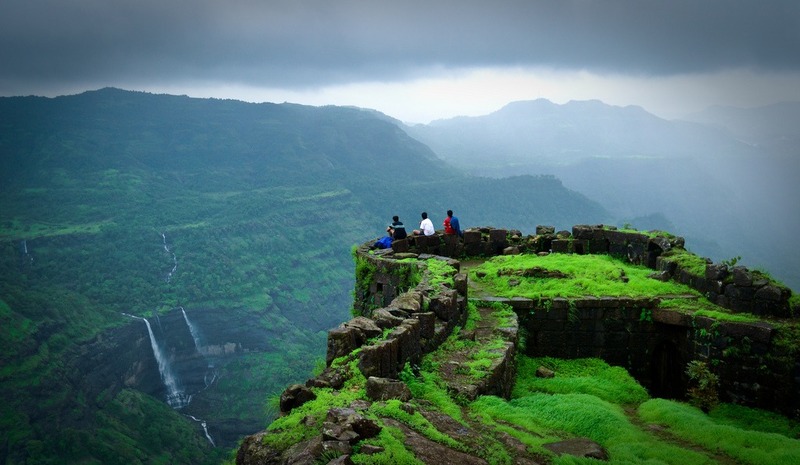 Rajmachi peak has two fortified structures – the Shrivardhan fort and Manaranjan fort. Rajmachi can be reached by 2 ways, the tough route is from Kondivade or Salpe-Kharmare village near Karjat and it involves climb-up of about 2000 feet. The other route is from Lonavala, which is almost a plain walk of about 15 km. In rainy season this region all the more beautiful with silvery water falls, streams and lush green forests and meadows. Located between Mumbai and Pune and spread across 36 acres, Della Adventure is India’s largest adventure park and corporate outbound training destination and one of the best places to visit during your Weekend in Lonavala. Brainchild of Mr. Jimmy Mistry, Chief Architect and Managing Director, Della Tecnica Group, Della Adventure has over 86 adrenalin-pumping adventure activities, including the country’s longest ‘Flying Fox’ zip line at 1,250 feet; India’s highest Rocket Ejector at 4.5 floors high; India’s first permanent public track for dirt-bike racing – with bikes ranging from 110cc to 250cc; ATV rides which includes the world’s largest 800cc 4X4 Polaris Ranger; the most professional hard ball bowling machine on an astro turf cricket pitch, and India’s first four-lane night Rappelling. To ensure safety of the highest possible international standards, it also houses PETZL equipment and safety gear, which is used for Rappelling, Flying Fox and the Ropes Challenge Course set-up: built with more than 100 tons of steel and which covers 27 team-building activities. Also introducing, India’s First and only swoop swing conducted by New Zealand certified Bungee Masters and India’s first permanent Bungy station 45 meters high giving you one of the best experiences of your life. A world class entertainment park, Imagica Adlabs is a one of its kind destination picnic spot with a plethora of entertainment options. Located on Mumbai-Pune Expressway, this theme park is one of the latest additions to the list of Mumbai’s entrainment hubs. 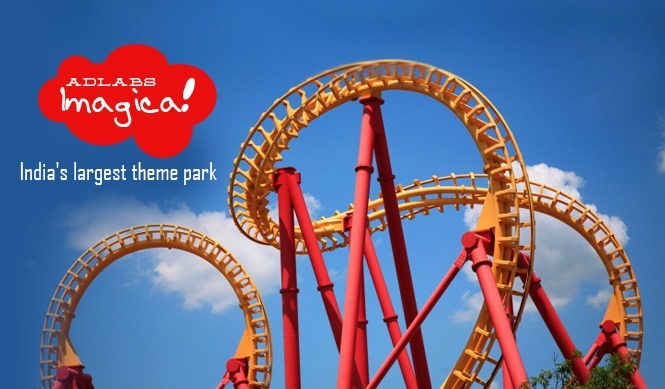 Imagica Adlabs, opened in April 2013, is one of the popular entertainment theme parks that is often referred to as a one-stop recreation center. 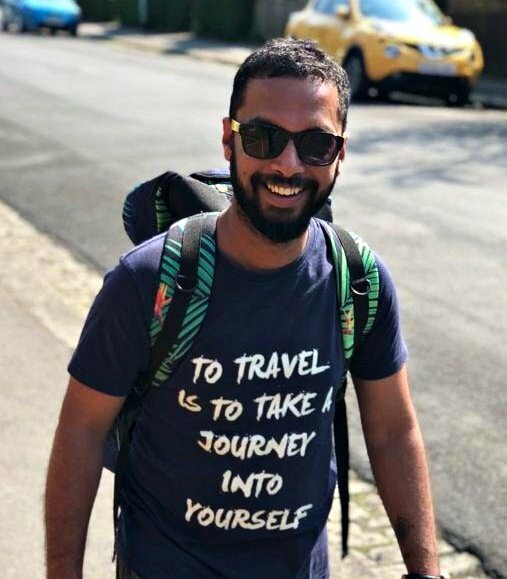 It is a product of a renowned media firm Adlabs Entertainment Limited, owned by the entrepreneur and film producer Manmohan Shetty. The place is packed with a plethora of amusements and leisure activities suitable for all age groups. Apart from luxurious accommodation, dining and shopping option, this theme park also offers some self-made fascinating characters, live performances of acrobats, hip-hop dancing, magic show and several other enthralling activities. 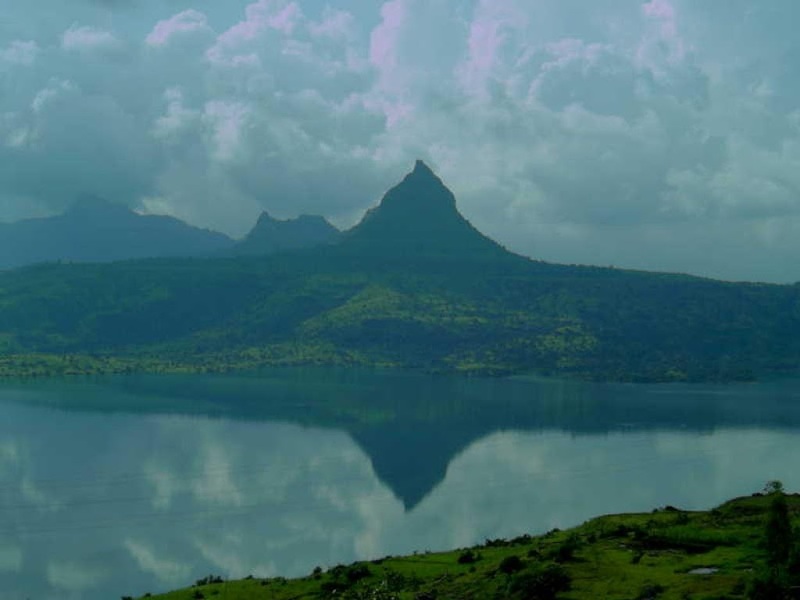 Built on the Pawana River near Lonavala, the Pawana Dam attracts several tourists. The cool climate and fresh air of the area make it a destination worth visiting. Still unexplored widely, the dam and the lake area offer some amazing views of nature. From the Pawana Dam visitors can get explicit views of the Logagarh, Tungi and Tikona forts. The Pawana Dam is located about 7 Km from Lonavala and about 19 Km in the interior of Kamshet. The route to Pawana Dam is quite scenic and the area is best visited during the monsoon months when the region is lush green. The area is nestled among the Sahyadri ranges. 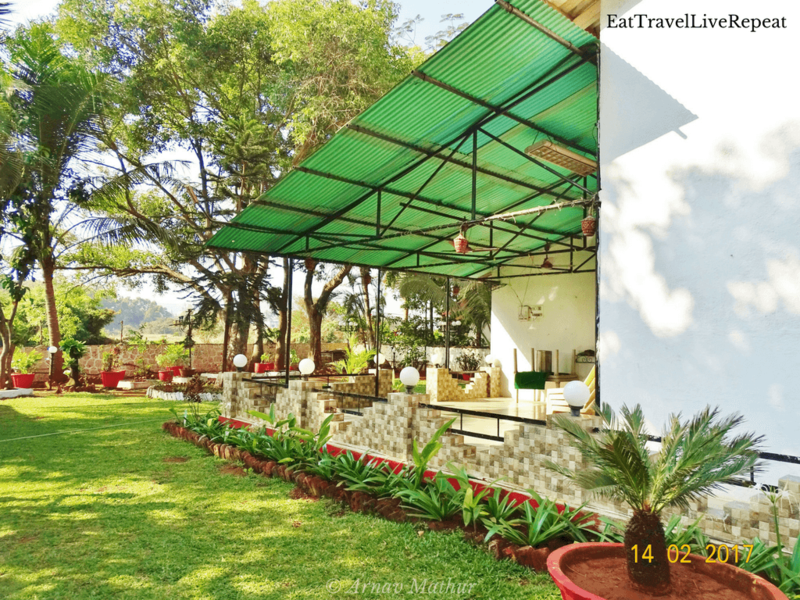 As Lonavala sees a lot of footfall, one can find a variety of food options to try all over the city, and many of the eateries are just a phone call away – for you to enjoy the delicious food in the comfort of your room in Lonavala. 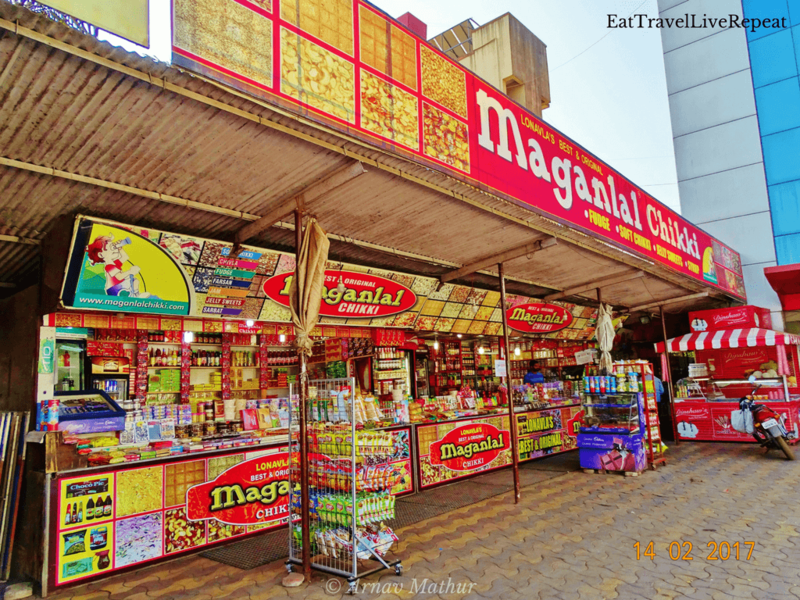 While you are in Lonavala, don’t forget to check out the variety of Chikki’s at the famous Maganlal Chikki which can be found at every nook and corner. 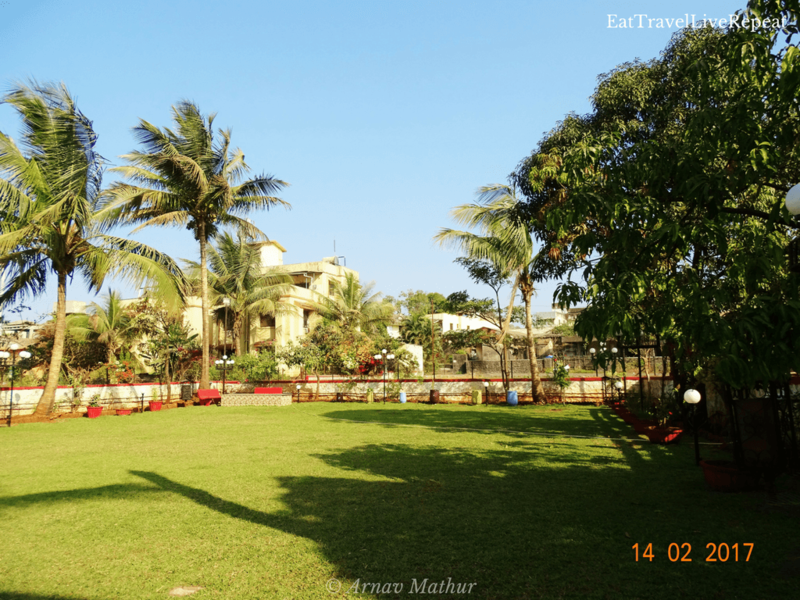 Even though there are a lot of hotels and luxury resort chains which have properties in Lonavala, it is recommended to check out any of the various homestays spread all over the city and Manasi Bungalow also known as House of Bliss is definitely a good bet. Located a stone throw distance from Hotel Neeta Inn, this property is pet friendly and the doors of this bungalow open into a spacious lounge with comfortable sofas and an open backyard. The main door faces a vast manicured lawn of around 28,000sqft with adequate lighting facilities for an open lawn party or event. Two large suites, with a spacious verandah connected to the hall, stocked with board games, an entertainment system and an in house library make up the main bungalow. Ideal for large groups interested in hosting parties and events, as well as for families looking for a relaxing time with their pets. With elegant classy interiors and being a pet friendly property, a stay in this property is highly recommended for a relaxing and rejuvenating stay cation. Check them out here. Lonavla is indeed one of my favourite places. Have been there so many times and also passed through it whenever I have travelled between Pune and Mumbai. The magic of the place is really alluring and it really comes alive in the rains. My memories of the place of course include the famous chikki and hot Vada Pav. Hahaha, true that. 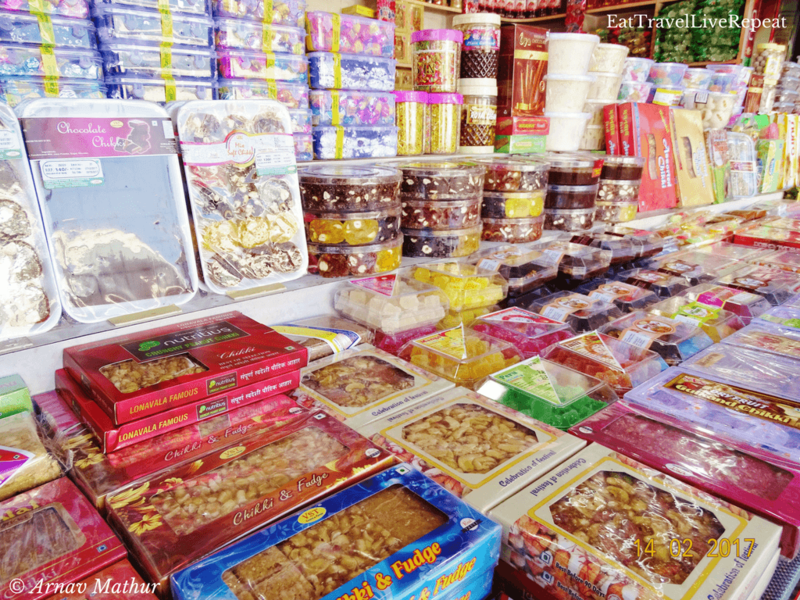 Lonavala has become synonymous with chikki and the hot vada pav. After reading your article, I checked out ‘Adlabs Imagica’s website. It looks massive and pretty cool. It offers a lot of awesome things to do. I would like to visit this someday. Its like a one stop family destinal=tion with a lot of things under one umbrella.